You probably make a checklist for performing home repairs, a shopping list before hitting the grocery store, or perhaps a to-do list for work assignments ?but do you have a checklist for reviewing your insurance coverage? 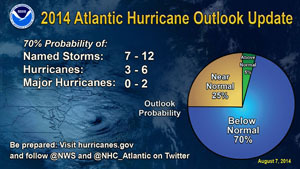 The start of hurricane season is right around the corner (June 1 ? November 30). So now’s the time to check your homeowners or renters insurance?and this handy list will make it easy to be sure you’re well-prepared in case a storm comes your way. Extended Replacement Cost Policy ? pays an additional 20 percent or more above the policy limits. Guaranteed Replacement Cost Policy ? pays the full amount to rebuild your home whatever the ultimate cost. Inflation Guard ? automatically adjusts the coverage limits to reflect changes in construction costs. Ordinance or Law Coverage ? pays a specified amount for rebuilding to new building codes, should your community adopt stricter codes. Imagine having to re-purchase all of your furniture, clothing and other personal possessions. Now think about what that would cost. Most insurers provide coverage for personal possessions?approximately 50 to 70 percent of the amount of insurance you have on the structure of your home. Is this enough? The best way to determine what you actually need is to conduct a home inventory?a detailed list of your belongings and their estimated value. The I.I.I.’s free Know Your Stuff ? Home Inventory tool can help. Replacement Cost Coverage ? pays what it would cost to replace your personal possessions at their current value. Actual Cash Value Coverage ? pays to replace your personal possessions only at their depreciated value. Additional Living Expenses (ALE) coverage kicks in if your home is rendered uninhabitable as the result of a hurricane or other insured disaster. ALE covers the extra costs involved in living away from home?hotel bills, restaurant meals and other expenses, over and above your customary living expenses?incurred while your home is being repaired or rebuilt. If you rent out part of your home, this coverage also reimburses you for lost rental income. Standard homeowners insurance policies provide coverage for hurricanes, wind, theft, fire, explosion, lightning strikes and a host of other disasters. However, all policies also list exclusions?such as for flood or earthquake?which are NOT covered by the policy. Get to know the exclusions in your policy and either talk to your Insurance Professional about purchasing separate coverage, or be prepared to pay the cost of those damages out-of-pocket. Sewer Back-Up Coverage ? Can be purchased either as a separate policy or as an endorsement to an existing homeowners policy. Sewer backups and damage from runoff water caused by major downpours are not covered under standard homeowners nor by flood insurance. Flood Insurance ? Separate flood insurance is available from FEMA’s National Flood Insurance Program (NFIP) and from some private insurance companies. People tend to underestimate the risk of flooding, but 90 percent of all natural disasters include some form of flooding?especially hurricanes! If you live in a flood zone, or a hurricane-prone area, a separate flood insurance policy is a must. But it’s equally important to understand what it actually covers. Don’t wait to review and update your insurance until after you have a loss?there are few things worse than finding out you did not have the right kind of coverage when you are already filing a claim. So before hurricane season kicks off, make sure you’ve reviewed home or renters insurance policy with this Hurricane Season Insurance Checklist. Call your Insurance Professional if you have any questions. They can provide guidance on how to get the insurance protection that’s best for your needs and budget. Insure My New Years Eve Party? Consider venues other than your home for the party.Hosting your party at a restaurant or bar with a liquor license, rather than at your home, will help minimize liquor liability risks. One-third of homeowners fail to realize they can be found legally accountable if an intoxicated visitor causes a car crash, according to a study by the Independent Insurance Agents & Brokers of America. Courts in many states will rule against hosts of holiday parties where alcohol is supplied to minors. Also, liquor must not be served recklessly to any guest who clearly has actually had too much to consume. Normally, inebriated visitors can not effectively take legal action against celebration hosts. However 3rd parties victimized in alcohol-related mishaps can and do, specifically when the drunk driver has little or no insurance. Inebriated driving claims can lead to monetary mess up to the party discovered liable. This past February, for example, a Colorado guy won an $18.5 million settlement after an intoxicated motorist ran him over in his own driveway. Hosts likewise can be accountable for losses that happen at the party. Think about a minor guest who was served alcohol and whose cigarette sets a Christmas tree on fire. If the resulting blaze ruins surrounding homes, the Christmas party host can be held responsible. Depending upon state social host liability laws, party hosts may be liable even when no alcohol is included. A guest who falls on the front pathway of the host’s home can take legal action against the host. A costly claim also can result if partygoers become seriously ill after consuming food served at the celebration. Items on the host’s home, such as swimming pools, trampolines, weapon collections and pet canines, broaden the list of prospective charges. The initial step in preparing a holiday celebration is to verify that the host’s property owner’s insurance (or renter’s or condominium occupant’s insurance) policy offers enough coverage for party-related accidents. Hosts must guarantee there are no policy exemptions associated with serving alcohol. Another study by the Independent Insurance Agents & Brokers of America exposes another major issue: two-thirds of tenants have no renter’s insurance at all. After a careful assessment of the financial risks, holiday party hosts might choose to get an umbrella liability policy that offers much higher optimums than the underlying protection. For a fairly low premium, umbrella liability policies normally supply an extra $1 million or more of coverage. Sufficient insurance can be a blessing for hosts who deal with damaging legal settlements. Job-related vacation parties need to abide by stricter codes of conduct. Lawyer Russell J. Thomas explains that due to the fact that a vacation celebration is a company-sponsored event, “all legal requirements and all policies in the employer handbook continue to be in force.”. The Insurance Journal reports a spike in sexual harassment claims instantly after the holiday season. Sustained by alcohol, offensive behavior at office parties can lead to problems– versus business and hosts– of a hostile workplace or of harassment. According to the Independent Insurance Agents & Brokers of America, companies should:. Guarantee their comprehensive basic liability (CGL) policies provide protection for third-party liquor liability through a special endorsement. Purchase unique event protection or a separate alcohol liability policy before hosting a vacation office party. Hosts holding vacation celebrations off-site ought to ask the place’s owner for copies of insurance certifications for alcohol liability. Businesses likewise are qualified for million-dollar umbrella liability policies. Risk-averse party hosts may decide that legal obligations that go along with serving liquor are too difficult. One option is to shift the focus of the vacation party far from alcohol by hiring improvisational comedians to emcee occasions. Other alcohol-free alternatives consist of inviting visitors to compete in interactive video games or take part in a motif night. Celebration hosts likewise might want to change alcoholic beverages with a variety of exotic sodas with flavors such as cherry wine and citrus peppermint. Thanks to iii.org. Financial Planning — a monthly update providing insight to help you plan for life stages and long-term financial well being. Each provides straight-to-the-point tips to help you feel confident about insurance coverage decisions. Nothing to buy; no hidden agenda — except for this: The newsletter content is intended to encourage you to spend 20 minutes reviewing your insurance coverage. You’ll likely breeze through them in just a few minutes, and that’s perfect. If you want to dig deeper, the newsletters point you to more free information. Our mission at the Insurance Information Institute is to improve public understanding of what insurance is and how it works. Part of that mission is to continually remind people that insurance is not a product you buy and put on the shelf. Your life is in motion, and insurance has to keep up. Never say “fogetaboutit” on insurance. Forgetfulness can cost you. Thanks to iii.org. There always seems to be someone trying to get rich quick at the expense of the unsuspecting. Insurance fraud is a $32 billion business for property/casualty insurers, and the U.S. Dept. of Health and Human Services estimates healthcare fraud to be more than twice that amount. While there are many fraud victim stories to tell, it’s kind of scary when one hits close to home. I was reminded of the vulnerability of senior citizens yesterday as I cleared a pile of papers from my desk to see a letter an 81-year-old relative received months ago telling her she won a “Shoppers Sweepstakes.” Along with the letter declaring her “winning” $230,000 was a very legitimate-looking check for $3,750. The letter explained the money was an advance to pay the tax on her “winnings” and directed her to send two separate Money Grams for nearly $1,000 each to pay the “tax” on the “winnings.” Thankfully, this relative has a longtime habit of turning over all her mail for review, so nothing happened — other than astonishment over the scam. Seniors get mounds of unsolicited mail for all types of investment “deals” and requests for iffy charitable donations. It would be great if they had a friend or family member review all such requests before any checks were written or before responding to farcical finance schemes. The state has a program called On Guard for Seniors to help Floridians develop a fraud radar to deflect scams. It’s worth checking out. Thanks to insuringflorida.org. In the event of a sudden emergency such as a hurricane, you may have just minutes to gather your family and important papers, and get out of your house, possibly for good. Are you prepared? Where would you go? What would you take with you? With preparation and practice, you stand the best chance of getting out with what you and your family need, and ending up in the right place. Planning ahead is crucial; this five-step plan can help get you and your family on the road to safety. To make creating a home inventory easier, the I.I.I. provides free Web-based software at KnowYourStuff.org. Know Your Stuff allows you to organize easily and list your possessions, as well as add digital photographs of your valuables and upload scanned receipts. The program provides free, secure storage of your inventory on Amazon Web Services. Storing your inventory online gives you the ability to access it from any computer in the event your own computer is damaged or destroyed. To find out if you are ready, do a real-time test by taking the Ten-Minute Challenge. Give yourself just 10 minutes to get your family and belongings into the car and on the road to safety. By planning ahead and practicing, you should be able to gather your family members and pets, along with the most important items they will need, calmly and efficiently, with a minimum of stress and confusion. Before peak hurricane season take the time to review your homeowners or renters insurance policy and make sure you have the right amount and type of coverage, recommends the Insurance Information Institute. 1. Review Your Insurance—Before You Have a Loss! Read the Declarations “Dec” (front) page of your policy, as it provides a useful summary. Review all policy documents and contact your insurance professional with any questions. More information about flood insurance: Does My Homeowners Insurance Cover Flooding? Know the difference between replacement cost and actual cash value coverage; understand your additional living expense coverage; and consider getting law and ordinance insurance so you can rebuild to current building codes: What Is Covered by a Standard Homeowners Policy? ; How Much Homeowners Insurance Do I Need? Fire plays an important role in the life of a forest, clearing away dead wood and undergrowth to make way for younger trees. But for much of the last century, fire-suppression policies have sought to extinguish wildfires as quickly as possible to preserve timber and real estate. This approach has led to the accumulation of brush and other vegetation that is easily ignited and serves as fuel for wildfires. Most of the large fires with significant property damage have occurred in California, where some of the fastest developing counties are in forest areas. Between January 1 and June 14, 2014 the California Department of Forestry and Fire Protection has responded to approximately 2,324 wildfires that have charred nearly 17,806 acres. The five year average for the same interval is 1,447 fires and 12,428 acres charred.